$50 Gift Card valid for all goods and services at Healdsburg Golf Course. 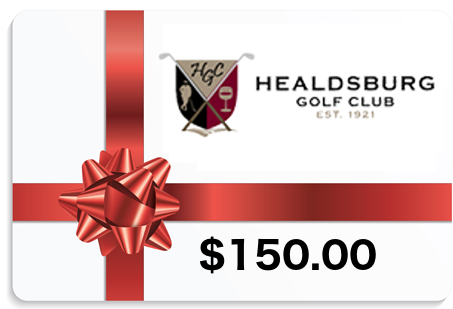 $150 Gift Card valid for all goods and services at Healdsburg Golf Course. Junior Membership The Perfect Gift for Dad!